However, house hunting hasn’t given us a house yet and it will be 5 months since our things have been in storage. My cooking life has been hampered since I lack the utensils to do things properly. Yes, I can whisk instead of blend in a mixer. But it’s not the same. 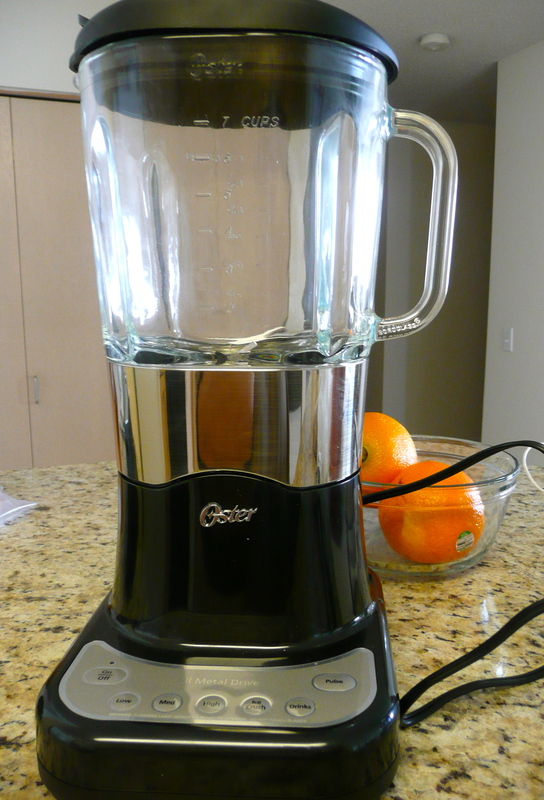 So, the other day, I broke down and bought a new blender. I had a recipe I was trying and needed to pulse the ingredients. Can’t pulse very well with a whisk. I dragged my husband with me to Target and we picked out the blender. 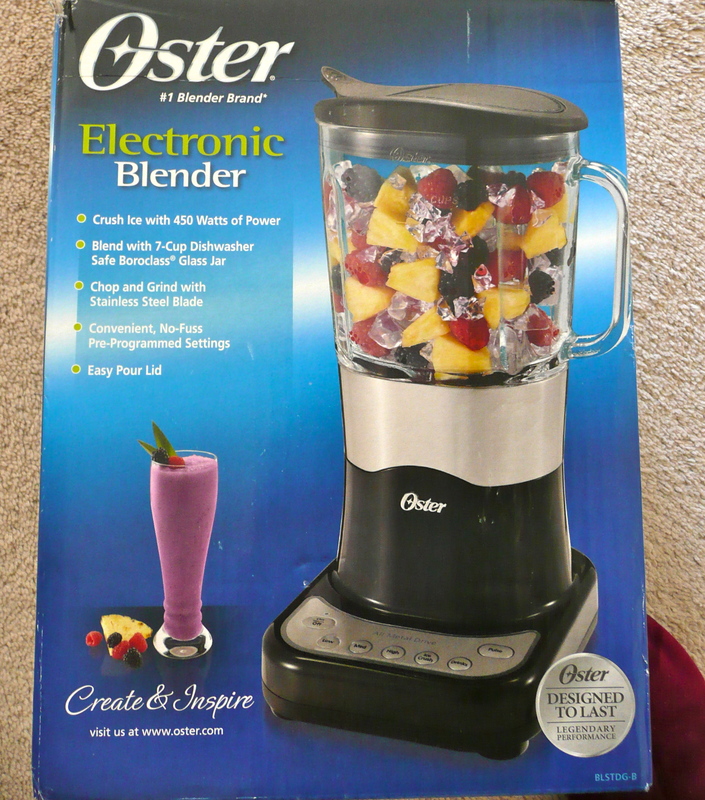 It’s an Oster and works beautifully so far. I just hope that I don’t break down and buy all new kitchen utensils.